Jim Morgan (Partner) is a respected authority in the telecom industry with over 25 years of experience in the development, design, procurement and integration of wireless and wireline voice/data technologies and facilities. He has specialized in large, wide-area, interoperable, trunked, wireless networks and participated in the sourcing, implementation, negotiation and management of over 100 transactions, valued at more than two billion dollars. Jim’s skills include technical assessment, design, strategic sourcing, specification and process development, project management and contract negotiation. His experience as a successful design engineer, project and business manager has led clients to trust him as a methodical, pragmatic, out-of-the-box advisor. Jim has a Bachelor of Science in Engineering from Purdue University and a Master of Business Administration from Duke University’s Fuqua School of Business. Richard Townend (Partner) has over 20 years of experience in wireless technology development, standards, evaluation, analysis and procurement, spanning commercial and public safety, voice and data technologies in the United States and Europe. He has negotiated technology sourcing contracts worth over 1.5 billion dollars for equipment, software features and support services. His expertise includes technology strategy assessment and development, contract negotiation, data analysis, financial modeling and forecasting. Richard is a creative problem solver, with a reputation for finding solutions to unique and complex problems. Richard has a Master of Engineering in Electrical and Electronic Engineering with Management from the University of London (Imperial College). Steve Gompers (Partner) provides engineering and project management consulting services to municipal and private sector clients for large-scale land mobile radio telecommunications projects. Specializing in the design, acquisition, deployment, and management of public safety wireless communications systems, he has enjoyed 20+ years of experience in the land mobile communications industry and managed some of the largest State & Local public safety radio projects nationwide. Specific disciplines offered by Steve include needs assessment/feasibility studies, technology evaluation, radio propagation analysis, communications interoperability planning, 911 communications center and tower site design, technical specifications preparation, procurement support, project implementation, acceptance testing, and long-term systems management. He focuses on serving public safety organizations and providing turnkey support throughout the complete project lifecycle while closely adhering to project budgetary constraints. Steve has been awarded a BSEE from the University of Maryland, College Park, an MBA from Northern Illinois University and an MS Telecommunications from University of Maryland, University College. Additionally, Steve has achieved Network+, Security+ and Project+ CompTIA certifications. 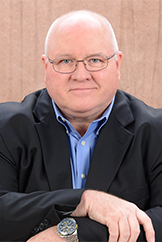 Brian Tracey (Principal Consultant) has over 25 years of experience in the public safety and commercial wireless telecommunications industries. In the public safety industry, Brian has domestic and international experience as a communications system test engineer, a field engineer, and product manager. 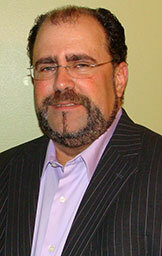 In the commercial wireless telecom industry, he held a variety of product management positions overseeing the successful launch of several new products deployed domestically and internationally for wireless data, 911 location, Mobile Switching Centers, Media Gateways, and Text Messaging Platforms. Brian brings a unique and diverse skill set based on his experience with hundreds of public safety and commercial wireless telecom projects worldwide in various capacities including system design, system test, product specification, new product introduction, product management, contract negotiations, vendor management, and customer needs assessment. 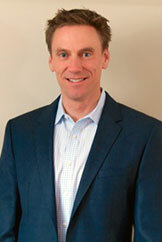 Brian is known for delivering very objective and logical approaches to engineering and project management endeavors. Brian has earned a Bachelor of Science in Engineering from Purdue University and a Master of Business Administration from DePaul University. Jeff Martin (Principal Consultant) provides engineering design/support and project management consulting services to public safety and utility industry clients for both small and large scale wireless communications projects. 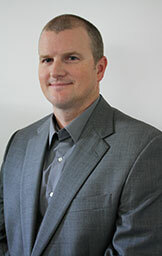 Specializing in the design, procurement, deployment and technical support of telecommunication systems, he has over 25 years of wireless telecom experience, including over 15 years in the public safety consulting industry and has deployed a host of systems for utilities, municipalities, counties, statewide and multi-statewide systems. 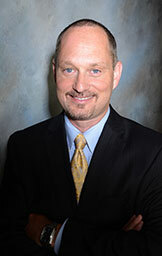 Jeff’s specialties include budget planning, needs assessment/feasibility studies, technology evaluations, interference analysis, strategic planning/zoning services, interoperability planning, development of resource sharing partnerships, propagation analysis, telecommunications facility design, specifications preparation and procurement, system deployment services including project management and performance certifications, as well as technical obsolescence planning and management. His main focus is to serve the public safety organizations and public utility industry by providing turnkey engineering and support services for the life of the system while always planning for opportunities to secure the pathway to the next technology for his clients. Jeff earned a BSEE from the University of Delaware in Newark, Delaware and has attended numerous post graduate classes and technical courses throughout his career to maintain his expertise in the field of telecommunications. Moises Martinez (Managing Consultant) is a customer-oriented, self-motivated systems engineer with over 25 years in the land mobile radio communication and telecommunication fields, responsible for numerous wide area communication system designs, system upgrades, and mobile data, dispatch radio console and E911 telephone switch projects. He has advanced customer contact and project management skills encompassing all areas of system design, installation, maintenance, service, system programming, troubleshooting and upgrading of wide area radio communication systems as well as network equipment and E911 switches. Moises uses his expertise to support network implementation activities through the design, coordination and management of complex voice and data systems. He has a relentless focus on results with a solid track record of achievement understanding complex technical problems and reaching sound conclusions. Moises has a BSEE from Florida International University and graduated from the Kiev Superior Radio-Technical Institute, in Kiev, Ukraine with a Master of Science in Engineering, specialized in radio propagation and radar antenna systems designs. He also has training and many different certifications on various systems and equipment. Moises speaks fluent Spanish and Russian and is currently working towards PMP certification. Jack Anderson (Managing Consultant) provides project management, vendor oversight, consulting and land mobile radio system engineering services to public and private sector clients. Jack has more than 30 years of experience in telecommunications of which over 25 are in land mobile radio system technologies. For nineteen years (1996-2015) Jack carried out a full time consulting engagement with a large Northern Virginia county, and became a well-respected figure in public safety land mobile communications in the National Capital Region (NCR). Jack played a key role in the efforts of the NCR to create and maintain one of the largest, most sophisticated and most successful multi-jurisdictional voice radio interoperability networks in the United States. Jack has a strong passion for serving first responders and other radio system stakeholders, and focuses on identifying cost effective solutions that meet the needs and expectations of radio system end users. Jack’s specialties include land mobile radio system project management throughout the entire project lifecycle, proposal evaluation and contract negotiations, equipment and solutions suitability assessment, testing, evaluation and recommendations, telecommunications and regulatory policy guidance, RF engineering, fleetmap development, complex system and subscriber radio problem analysis, characterization and troubleshooting, staff training, user group facilitation, and RF interference investigation and resolution. 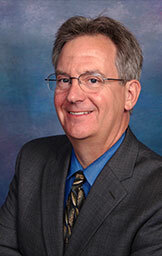 Wayne Stack (Managing Consultant) has more than 35 years of experience in wireless communications systems. Wayne has public safety radio system design, engineering, and development experience with expertise in VHF, UHF, 800 MHz conventional, and 700/800 MHz trunked in the following areas: analog and digital radio systems; mobile data systems; P25 Phase 1 and Phase 2 radio systems; radio system propagation, and radio system coverage analysis and performance testing. 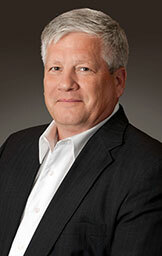 Wayne’s experience includes planning, design, and implementation of communications systems; development of budgets and specifications; bid evaluation and contract negotiation; vendor oversight; schedule development and adherence; acceptance testing; site acquisition; training; contract change management, project management, and business region management. Wayne has a Bachelor of Science in Industrial Technology (Electronics) from California State University, and a Master of Business Administration from Duke University. He is a PMI-certified Project Management Professional, and holds a permanent Federal Communications Commission General Radiotelephone Operator’s License. 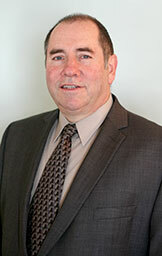 Gary Whitley (Senior Consultant) has served in the wireless telecommunications industry for more than 35 years. He provides our clients with system technologist and project management support in the procurement and upgrade of land mobile radio systems, including 9-1-1 dispatch systems, microwave backhaul systems, distributed antenna systems and bidirectional amplifier systems. 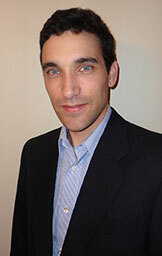 His expertise also includes RF propagation modeling associated with the design and assessment of wireless systems, and analysis and mitigation in resolving intermodulation interference issues. Gary’s experience includes more than 15 years as a consultant working on large scale public safety statewide and federal government communications systems, as well as county-wide systems. Prior to that, he had 20 years of active duty military service in the United States Coast Guard as a senior electronics technician where he provided maintenance support and management of critical wireless communications and navigation systems. Gary is highly motivated and dedicated to serving the needs of our clients in every aspect of their projects from the beginning of systems assessment and procurement through design, implementation and final system acceptance testing. Copyright ©2019 Altairis Technology Partners, LLC. All rights reserved.